John Lukacs (born 31 January 1924 in Budapest his name spelled Lukács) is a Hungarian-born historian who has written more than twenty-five books, including Five Days in London, May 1940 and The New Republic. He was a professor of history at Chestnut Hill College from 1947 to 1994, and the chair of that history department from 1947 to 1974. He has served as a visiting professor at Johns Hopkins University, Columbia University, Princeton University, and at the University of Budapest. Lukacs was born to a Catholic father and Jewish mother. His parents divorced before World War II. Although Lukacs was raised Catholic, he served in a Hungarian labor battalion for converted Jews during that war. He evaded deportation to the death camps and survived the Siege of Budapest. In 1946, he fled Hungary for the United States to escape increasing Communist influence in the Hungarian government. In the early 1950s, Lukacs wrote several articles in the Commonweal criticizing Senator Joseph McCarthy, whom he described as a vulgar demagogue. Lukacs sees populism as the greatest threat to civilisation. By his own description, Lukacs considers himself to be a reactionary. In Lukacs's view, the essence of both National Socialism (Lukacs does not believe in generic fascism; in his view the differences between Fascist Italy and Nazi Germany were far greater than the similarities) and Communism was populism. Lukacs sees himself as the defender of the traditional values of Western civilization against what he regards as the debasing leveling effects of modern mass civilization, and above the institution that Lukacs sees as the supreme guardian of Western values, namely the Roman Catholic Church. Lukacs has argued that the best form of government is that of an enlightened elite, preferably an Catholic elite. A major theme of Lukacs's writing has concerned an assertion by the French historian Alexis de Tocqueville in the 19th century that all states, whether monarchies or republics, had been dominated by aristocratic elites, and the age of aristocratic elites was drawing to a close and the age of democratic elites reflecting the interests and concerns of the masses was dawning. Much of Lukacs's writings are concerned with what he regards as this transition from aristocratic to democratic elites and its consequences. By his own admission an intense Anglophile, Lukacs’s favorite historical figure is Winston Churchill, whom Lukacs considers the greatest statesman of the 20th century and the savior of not only Great Britain, but also of Western civilization. Lukacs holds strong neo-isolationist beliefs, and perhaps unusually for an anti-Communist Hungarian émigré, was strongly opposed to the Cold War. Lukacs often argued his belief that the Soviet Union was a feeble power on the verge of collapse, and contended that the Cold War was an unnecessary waste of American treasure and life. Likewise, Lukacs is strongly critical of the administration of George W. Bush and has condemned the 2003 invasion of Iraq. Many have seen Lukacs as a leading spokesmen for Paleoconservatism in the United States. From about 1977 on, Lukacs has been one of the leading critics of the British historian David Irving, whom Lukacs has often accused of engaging in unscholarly practices and of having neo-Nazi sympathies. In part, Lukacs’s 1997 book, The Hitler of History, a Prosopography of the historians who have written biographies of Adolf Hitler contains a substantial critique of Irving’s work. Irving in his turn has engaged in what many consider to be vitriolic and anti-Semitic attacks against Lukacs (Lukacs is quite proud of his Roman Catholicism, but because of Jewish descent on his mother's side, Irving has always disparaging referred to Lukacs as a Jewish historian). Irving has often threatened Lukacs with a libel lawsuit, but never followed through on these threats. In his 2005 book, Democracy and Populism: Fear and Hatred, Lukacs writes about the current state of American democracy. He warns that the populism he perceives as ascendant in the U.S. renders it vulnerable to demagoguery. He considers that this devolution from liberal democracy to populism is evident in such things as popular sentiment being the new substitute for what was once public opinion - and propaganda and infotainment over knowledge and history. The Great Powers and Eastern Europe (New York : American Book Co., 1953). A History of the Cold War (Garden City, N.Y. : Doubleday, 1961). Decline and Rise of Europe: A Study in Recent History, With Particular Emphasis on the Development of a European Consciousness (Garden City, N.Y., Doubleday, 1965). A New history of the Cold War (Garden City, N.Y. : Doubleday, 1966). Historical Consciousness; or, The Remembered Past (New York : Harper & Row, 1968). The Passing of the Modern Age (New York : Harper & Row, 1970). A Sketch of the History of Chestnut Hill College, 1924-1974 (Chestnut Hill, PA: Chestnut Hill College, 1975). The Last European War: September 1939-December 1941 (Garden City, N.Y. : Anchor Press, 1976). 1945: Year Zero (New York : Doubleday, 1978). Philadelphia: Patricians and Philistines, 1900-1950 (New York : Farrar, Straus, Giroux, 1981). Outgrowing Democracy : A History of the United States in the Twentieth century (Garden City, N.Y. : Doubleday, 1984). Immigration and Migration: A Historical Perspective. AICF Monograph Series, paper no. 5 (Monterey, VA : American Immigration Control Foundation, 1986). Budapest 1900 : A Historical Portrait of a City and Its Culture (New York : Weidenfeld & Nicolson, 1988). Confessions of an Original Sinner (New York : Ticknor and Fields, 1990). The Duel : 10 May-31 July 1940 : the Eighty-Day Struggle between Churchill and Hitler (New York : Ticknor & Fields, 1991). The End of the Twentieth Century and the End of the Modern Age (New York : Ticknor & Fields, 1993). 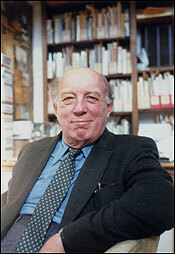 Destinations Past : Traveling through History with John Lukacs (Columbia, MO : University of Missouri Press, 1994). The Hitler of History (New York : A. A. Knopf, 1997). George F. Kennan and the Origins of Containment, 1944-1946 : the Kennan-Lukacs Correspondence, Introduction by John Lukacs. (Columbia, Mo. : University of Missouri Press, 1997). A Thread of Years (New Haven [Conn.] : Yale University Press, 1998). Five Days in London, May 1940 (New Haven [Conn.] : Yale University Press, 1999). A Student's Guide to the Study of History (Wilmington, DE : ISI Books, Intercollegiate Studies Institute, 2000). Churchill : Visionary, Statesman, Historian (New Haven [Conn.] : Yale University Press, 2002). At the End of an Age (New Haven [Conn.] : Yale University Press, 2002). A New Republic: A History Of The United States In The Twentieth Century(New Haven [Conn.] : Yale University Press, 2004). Democracy and Populism : Fear & Hatred (New Haven : Yale University Press, 2005). Remembered Past : John Lukacs On History, Historians & Historical Knowledge : A Reader (Wilmington, DE : ISI Books, Intercollegiate Studies Institute, 2005). June 1941: Hitler and Stalin. New Haven; London: Yale University Press, 2006 (ISBN 0-300-11437-0).